Pittsburgh and Western Pennsylvania hospitals as well as other health care facilities that interface with transient populations face particular challenges when it comes to providing the highest level of sanitation and cleanliness that is possible. As a general rule of thumb, the larger the facility, the greater the risks of pest infestation because bigger indicates increased kitchen space, more food served, more bathrooms and more visitors, just to name a few factors. The best way to prevent a pest problem is to consult expert technicians such as our professionals, who can explain to hospital managers and owners how pests gain access, which pests are the most problematic, where infestations are most likely to develop and most importantly, how to prevent them from entering in the first place. Unfortunately, in 2017, Pittsburgh made the list of the nation’s top infested cities, with a rating of 22, which is at least a bit better than 2016’s rating of the 18th rattiest city. Although restaurants are the most plagued by infestations of all types because of the nature of the industry, all commercial enterprises throughout Pittsburgh and Western Pennsylvania, including hospitals and health care facilities, are susceptible to pest infestations. The fact that hospital populations are more vulnerable than others makes matters even more compelling and challenging and underscores that absolute need for professional pest and hygiene control. Read on to learn more about our exclusionary, preventative, pest control and hygiene control plans, or call to speak with a Pestco rep today! (412) 252-5200. Learn why businesses turn to Pestco for all of their pest and hygiene control needs. Common pests transport bacteria on their bodies wherever they go, which can directly or indirectly impact patients either through personal contact or through contamination of hospital equipment, supplies and surfaces in different areas of a hospital. The following pests present the highest health risks to hospital populations. Cockroaches, both German and American, are serious vectors for disease and are known to spread nearly 33 different kinds of bacteria, six kinds of parasitic worms and at least seven other types of pathogens. Dangerous toxins are transported on their bodies, such as Escherichia coliand Salmonella, which not only taint food, cooking equipment and surfaces reserved for food preparation, but also endanger the sterile environment of operating rooms, intensive care units (ICUs), kidney dialysis and examination and patient rooms. Cockroaches particularly affect children and the elderly in terms of increasing indoor allergy and asthma symptoms. Compromised immune systems are common within a hospital populace and this can make some hospital patients very vulnerable to bacterial infections. In addition, a cockroach infestation in a hospital can result in low patient satisfaction scores and damage a facility’s reputation among, staff members, and visitors as well. 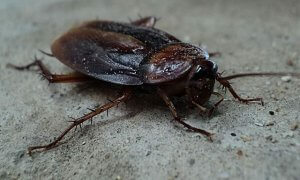 Even though the onus is on hospital owners and managers to establish the highest standard possible for cleanliness and hygiene, it must be noted that cockroaches can invade even immaculate, sterile settings. This fact alone justifies seeking outside professional help from expert pest control and pest management specialists. They can conduct inspections, implement exclusionary steps and help facilities set up a plan of action to be rigidly followed by all hospital personnel. Both mice and rats can enter any hospital via an opening or crack no larger than a dime. Their presence is a fire hazard among other things. They chew through wallboards, cardboard, wood, plaster and electrical wiring. 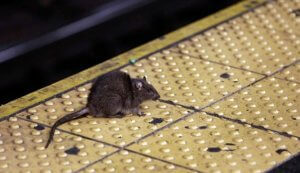 In addition, the threat of contamination is great because rodents defecate constantly on food preparation surfaces. Hospital personnel must be vigilant and always check for rodent droppings in cafeteria pantries, along walls; in food storage and service areas and in laundry rooms and garbage disposal areas. Learn about our rodent control services! Ants in general contaminate food and food surfaces, but the Pharaoh ant is by far the most troublesome species in hospitals and health-care facilities. Although the origins of this small yellow or light brown ant are unknown, its name may have been derived from a mistaken idea that it was the cause of one of the plagues of ancient Egypt. Their infestations in hospitals are a chronic problem, both in Europe and the United States. One extensive infestation in Texas covered all seven floors of a medical center. Solutions require the expertise of the master pest control and pest management specialists. When these ants infect hospitals, they can spread more than a dozen disease pathogens including Salmonellaand Streptococcus pyogenes. They pose serious health threatsbecause of their attraction to intravenous units, medical preparations and open wounds. They have been found in laundry rooms, sealed packs of sterile dressing,ICUs, kidney dialysis and autopsy chambers. Scientific observers have even reported seeing pharaoh ants seeking moisture from the mouths of sleeping infants and from in-use IV bottles. Their ability to get into things is what makes them so problematic. These ants have even been known to penetrate the security of DNA laboratories. Management of Pharaoh ants is difficult due to their nesting habits, which are often in inaccessible areas. Treatment must be thorough and complete and must be conducted with total cooperation between all hospital personnel and pest management and pest control experts. Insecticides cannot be employed in a hospital setting and often baits are used, but they must be strategically placed in every single room of a health care facility. Unfortunately, flies can be found in almost every part of a health care facility, including: food service areas; food carts; ICUs and surgical suites; autopsy rooms; laundry rooms and loading dock and garbage disposal areas. Their source could lie inside the hospital or close by the building. Keeping flies away from hospital rooms is no easy task, and it is an issue that must be addressed with the help of the pest control and pest management specialists. Flies transport disease-causing organisms on their bodies and they are known to spread more than 100 different kinds of illnesses. They contaminate both food and surfaces through their saliva that is used to break down foods and via defecation, which occurs constantly. Once again according to Bowman: “Trash compactors at hospitals or other large commercial properties can also contribute to fly problems. Businesses don’t always recognize the importance of sanitation in the compactor area. If the compactor is too close to an entryway, flies can literally be sucked in the door due to air pressure. A 2013 study conducted by the National Pest Management Association and The University of Kentucky and published in the journal, Nature Scientific Reports concluded that bedbugs have evolved ways to resist pesticides, which have contributed to a recent comeback of these very unpleasant critters. The study also indicated that 33% of pest control professionals have treated bedbugs in hospital settings. Hospital environments are very vulnerable to bed bug infestations because of the transient nature of their populations and can gain access via patients, visitors and staff members. These bugs hitchhike in travel bags, shoes and on clothing. Although they are not considered vectors of disease, their presence can cause anxiety and insomnia and their bites, which leave itchy red welts, are very unpleasant. Sometimes, scratching at the welts can cause a secondary infection. In hospitals, their most common locations are: beds in patients’ rooms, furniture in waiting rooms and laundry facilities. Explore our ultimate guide to bedbug control! Unfortunately, Pittsburgh is one of the most termite-plagued cities in the nation today. In 2117, it ranked number 20 in a list of 25. Both home and health facility owners and managers should look for early warning signs of termites because an infestation in progress can cause irreversible structural damage to buildings that can be not only costly but also dangerous. Left undisturbed, a termite colony can cause the collapse of an entire hospital building. Some things to look for include: small cracks or holes in wood flooring; hollowed or damaged wood; discarded insect wings; droppings that resemble sawdust or coffee grounds and mud tubes near the base of an office building or residence that are the size of an average pencil. The subterranean termite, which is considered the most voracious species in the United States, loves Pittsburgh. In fact, termites are active all across the state of Pennsylvania from Pittsburgh to Harrisburg and from Philadelphia to Scranton. Extermination costs to home and commercial property owners reach $5 billion dollars every year. Spiders prefer dark secluded corners of any residence, office or health facility they can get into. Some spider species are attracted to moist environments while others prefer attics, the junction of a wall and ceiling and diverse storage areas. They are driven by a quest for food in the form of other insects such as roaches, flies and ants. This can force them out in the open, especially in a hospital or other health care facility where not enough care has been taken to maintain complete pest control and pest management. Hospitals have a responsibility to keep their premises clean and make sure that patient safety is never compromised. The best way to ensure a spider-free hospital facility is to exterminate their food sources. Once an infestation takes hold, however, hospital managers will need to seek professional help in the form of an integrated pest management and pest control system initiated and maintained by experts. These small parasitic wingless insects measure about 1.5 to 4.0 mm in length and survive well in warm and humid temperatures. The most common flea species associated with humans is the cat flea (Ctenocephalides felis). Call today for all of your pest control needs! While most would not think these critters would be attracted to or do any harm in hospitals, they can and they do. Their bites cause significant discomfort and potential secondary skin infections. 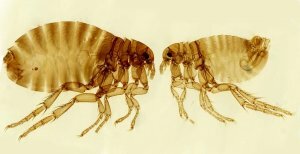 In addition to causing allergic reactions, some flea species are potential carriers of serious disease organisms, such as bubonic plague and murine typhus. Sources of hospital flea infestations can occur from stray rodents (i.e. rats and mice, squirrels) or even cats hiding in a secluded area of a facility, possibly near kitchens or underneath staircases. Adult fleas can hide almost anywhere and they are notorious hitchhikers. They can be transported like bedbugs, via human clothing and shoes in and out of both patient wards and waiting rooms. Last, but certainly not least, is that fact that adult fleas can be brought to a hospital via staff or visitors traveling from a home with pets. It is vital for hospital managers to consult with our professionals to insure their facility is and remains flea-free. While it may be difficult to stem the entry of pests by visitors, educating all staff about prevention within the facility can reduce some of the problems. By establishing an effective pro-active pest control and pest maintenance program, a facility is making a dual investment, both in the health and welfare of its patients and in its reputation within the industry. Preventing pests isn’t the only challenge hospitals face; defending against germs, bacteria and malodors are equally important, and we do all three. Our three-pronged initiative offers the ultimate in pest control; washroom hygiene services provided Enviro-Master, and environmental odor and air freshening solutions supplied by Air-Scent. This vast array of professional services is available under the cost-effective blanket. This highly-effective preventative program is ideal for hospital settings and ensures that emergency rooms, patient wards, reception and waiting areas and restrooms will not only be pest-free but also hygienic and present appropriate scents that soothe anxiety and speak comfort to those suffering from traumatic impact injuries and serious wounds. If you’re a hospital owner or manager, submit a written inquiry or call our team today for any pest or hygiene control issues — (412) 252-5200. All of these pests have their natural place in the order of things and possess some odd, unique traits that can keep humans guessing. Below are some examples. Scientists have found that rats will force themselves to eat food they don’t like if they know that some of their fellow rats have eaten it. Rats have been known to memorize routes and solve puzzles. They can also find their way back into a shelter if their “usual” ingress has been blocked off. A Single Queen Can Produce Hundreds Of Workers In A Few MonthsMature colonies contain several queens, winged males, sterile females or workers, eggs, larvae, prepupae, and pupae growing to as large as 300,000 or more members. Bedbugs reproduce by “traumatic insemination,” a process in which the male stabs the female’s abdomen and injects sperm into the wound. According to scientific research conducted by the California Institute of Technology, fliescan easily calculate the angle of a swatting hand, newspaper or swatter and create a flight plan to avoid it. When they see a threat coming, they are able to leap backward using their hind legs to avoid the hit. 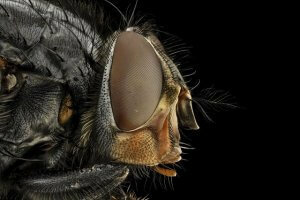 The study further indicted that flies make these decisions within 100 milliseconds of spotting the threat. There are some species of flies that mimic other insects. Hover flies, for example, often look like bees or wasps, which helps them avoid predators. They are often seen hovering in mid-air like small, living helicopters. While their buzzing can be annoying, hover flies are considered beneficial as their larvae prey on aphids and caterpillars and adult hover flies pollinate flowering plants. At some point in a termite queen’s lifetime, she can begin laying as many as 30,000 eggs a day. Scientists estimate that if all the termites in the world were gathered and weighed, the weight of all of them would be more than the weight of every human being in the entire world. Further estimates claim that that there might be 1,000 pounds of termites for every single living person. Spiders belong to a different order of the animal kingdom known as the arachnids. They are distinguished from insects by a number of factors which include: they have eight legs and eight eyes, although the eyes are not easily seen without the aid of a microscope; most species produce spider silk through spinnerets in the back of their bodies; they have fangs with which they hold their prey and they do not, like insects, have antennae. This is the equivalent of a human being pulling 2,679 double-decker buses. Flea brides and grooms (dressed, but dead) were popular collector’s items in the 1920s.